Looking for a new hobby? 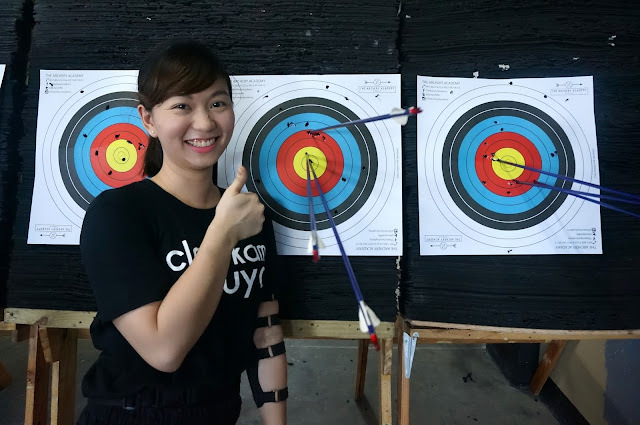 Why don't you try archery. 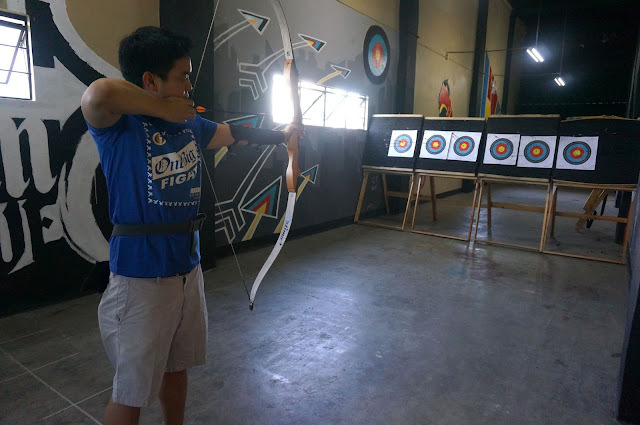 Mike and I constantly search for new things to try and while I was browsing for deals on metrodeal.com I came across an archery class promo at Archery Academy and decided to avail a 1-hour archery class for P275 each. We bought 2 vouchers months ago but it was just this month that we decided to finally use it. 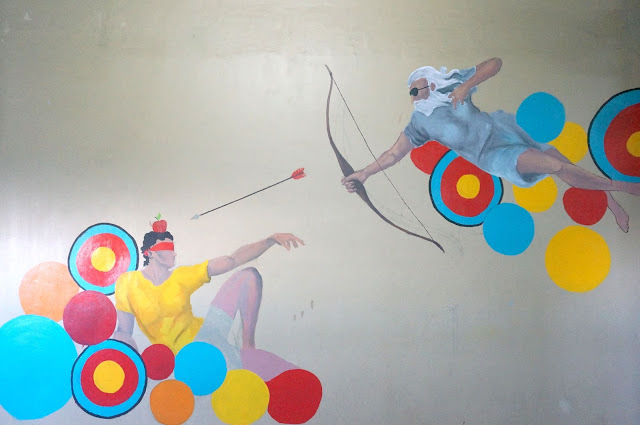 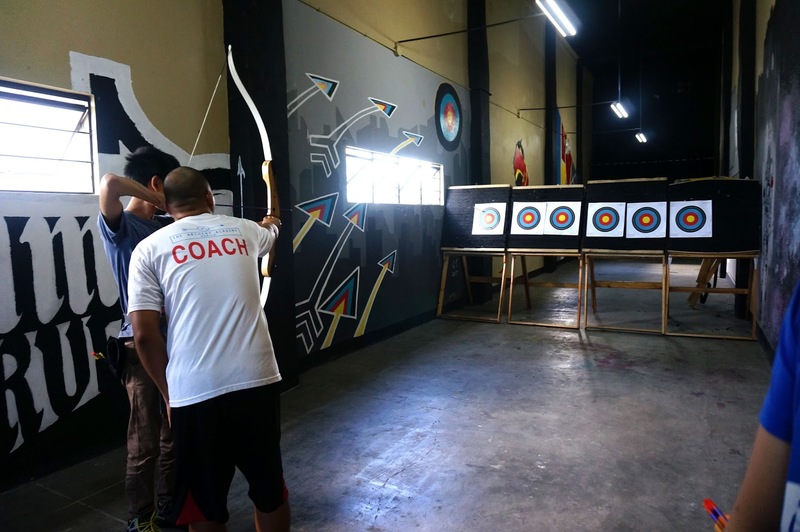 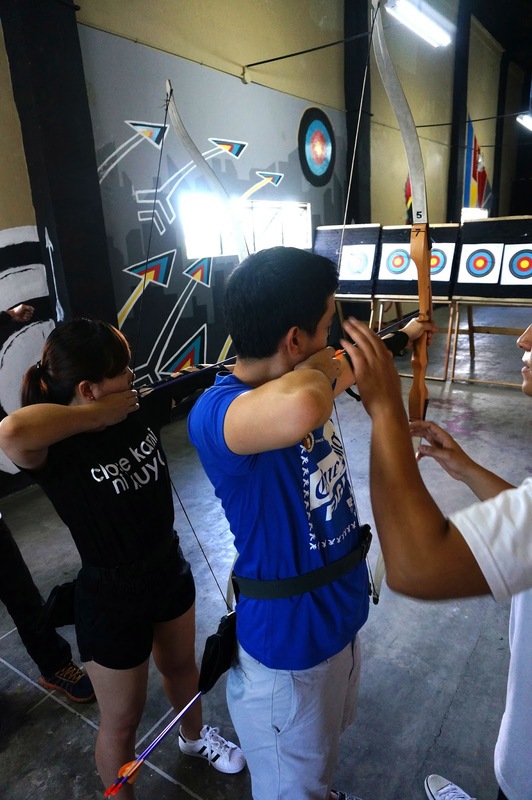 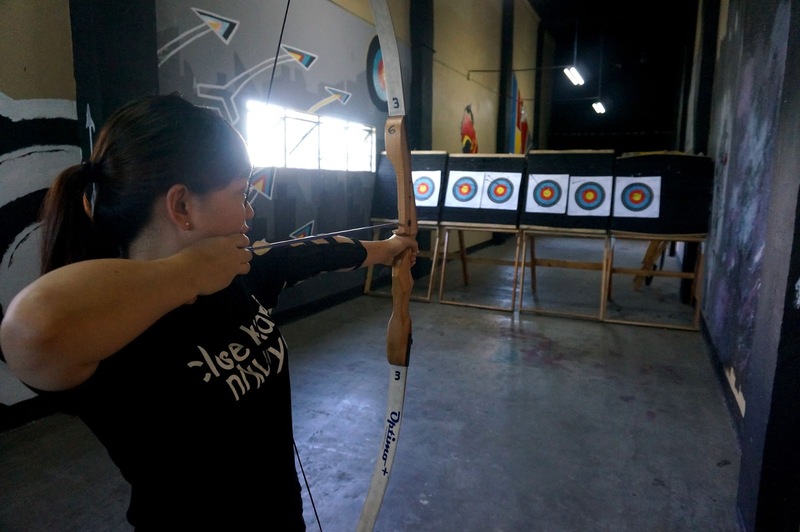 Archery Academy Manila is a group of passionate archers who want to expand the archery community by exposing more people to the sport by conducting hourly classes and full programs to first-time archers and archers who want a refresher course. 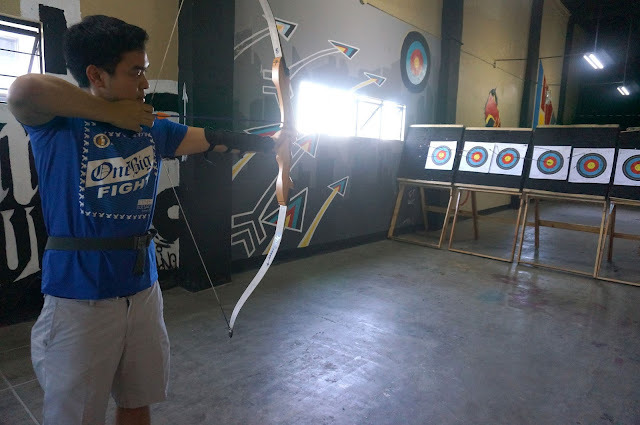 I've always been fond of fictional characters who use the power of bow and arrow for fighting. 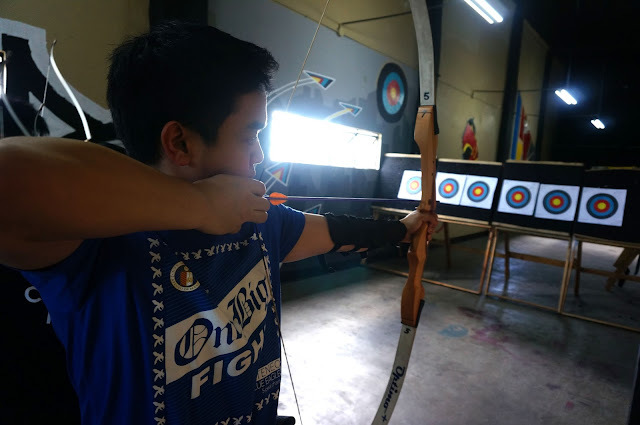 The likes of Robin Hood, Legolas, Hawk Eye and of course District 12's superhero and lady archer of Hunger Games trilogy, Katniss Everdeen made me want to engage in the sport even more. 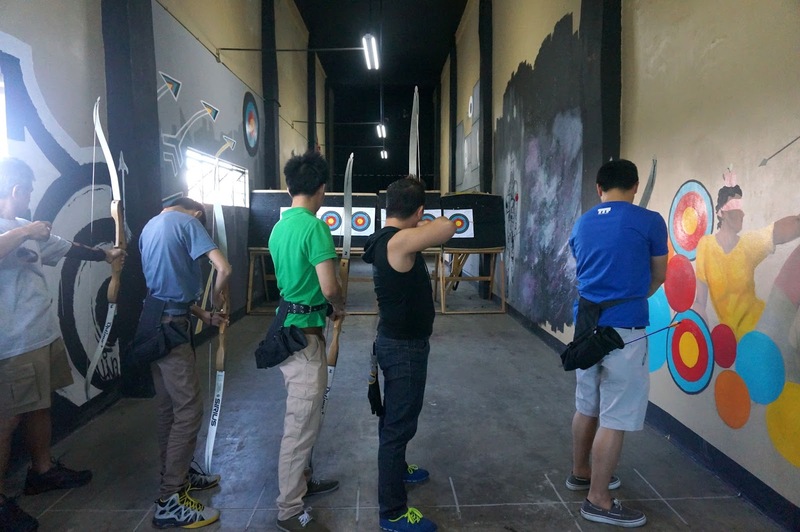 I texted them just a day before and they were very quick to respond, luckily they still had a slot for the Sunday 3pm class. Located at the fifth floor of Intrawest Center in Greenhills we arrived there 15 minutes before our actual class. 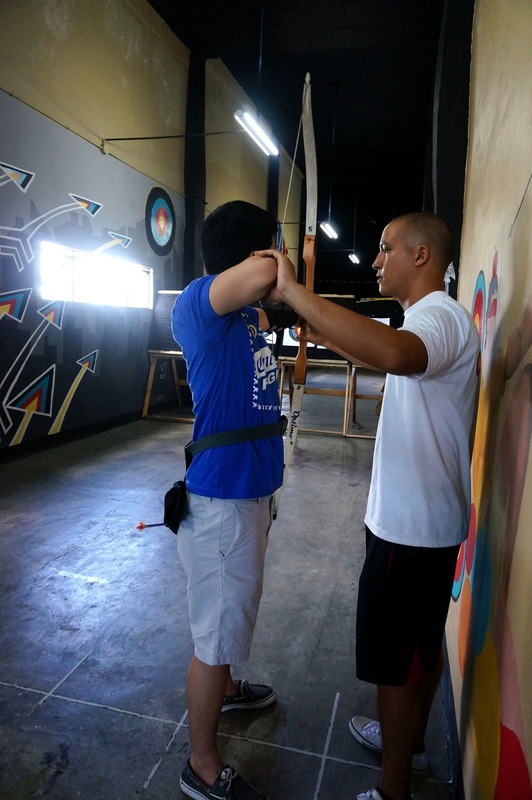 The place was just small, good for intimate classes. 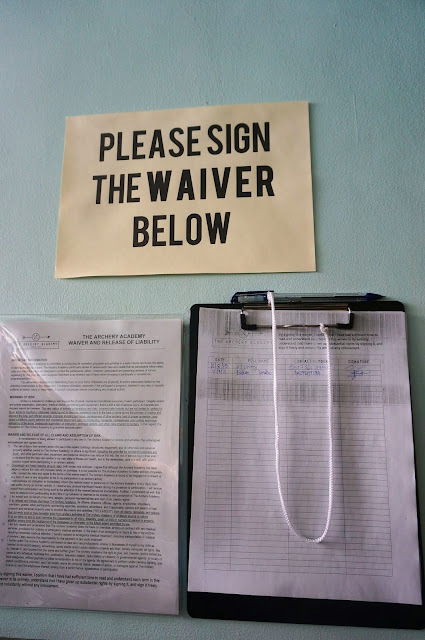 Upon arrival we handed them our vouchers and we were asked to sign a waiver. 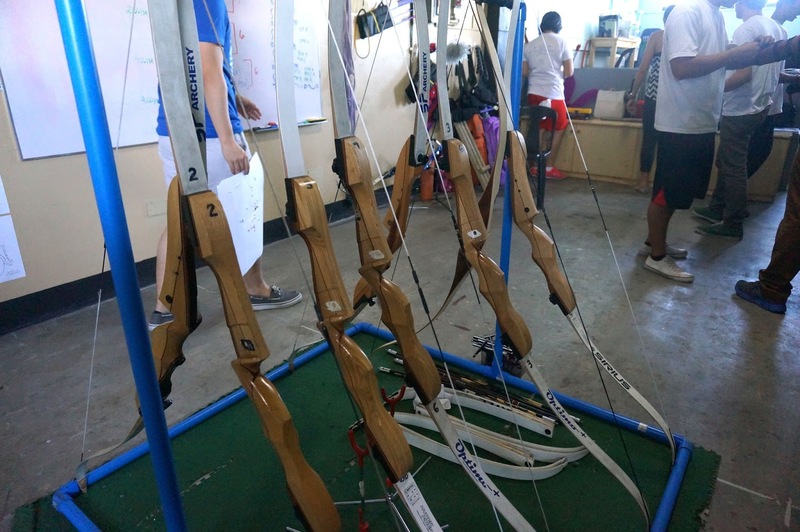 They then began gearing us up. They also asked us to choose our bow which we'll use until the end of the class. 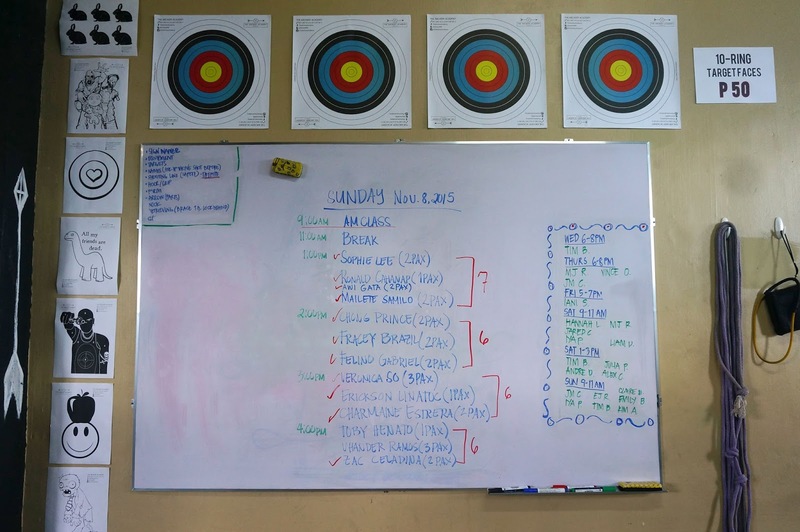 We were six in the class which is the maximum capacity for an hour class. 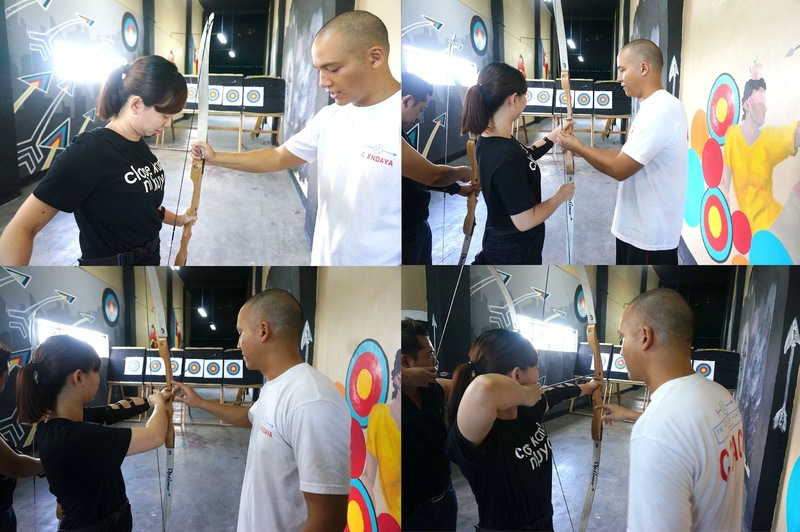 Coach Gio lectured us on the proper stance and form, the proper handling of the bow and arrow and how to properly aim for the target. 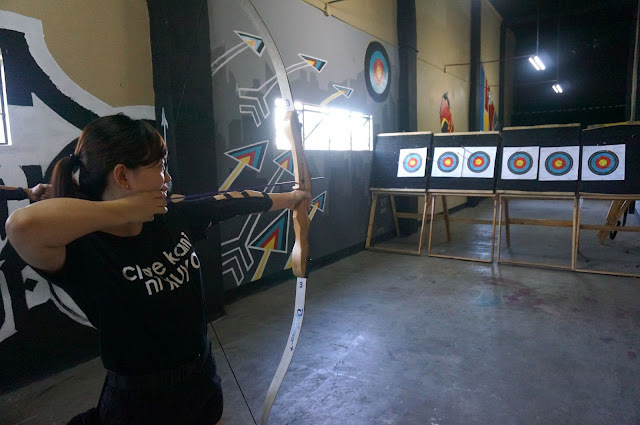 It was just a quick lecture so we could have more time to experience it ourselves with the guidance of the Archery Academy team. 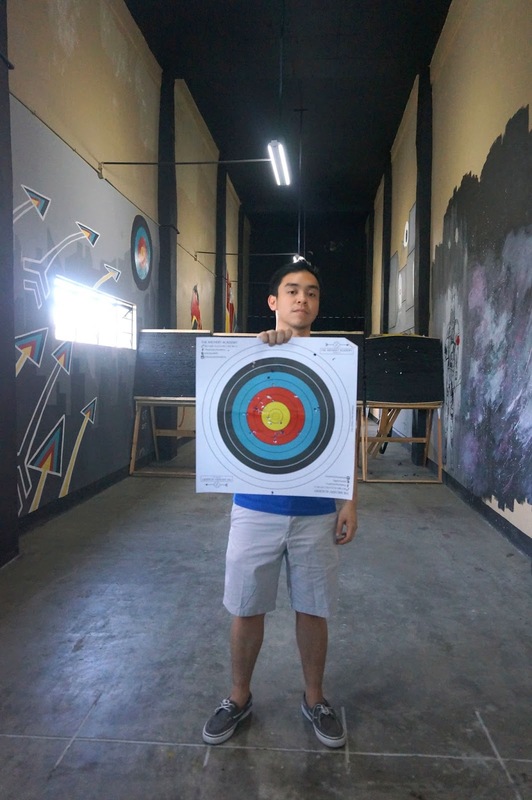 The staff was also willing to take photos while we were doing the session so that's a plus for customers like us. 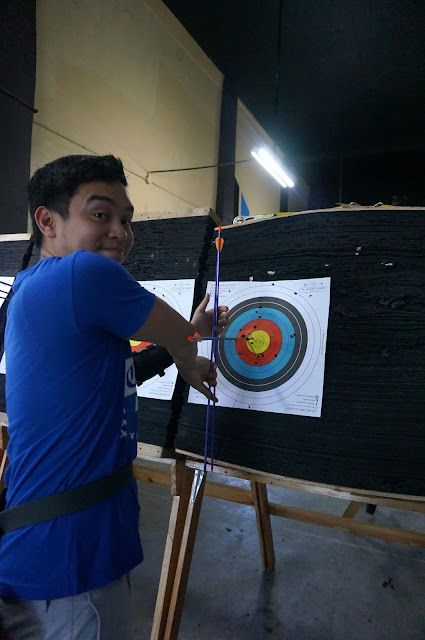 The one hour class passed by so quickly just right after I had three bull's eye hits which made me so kilig and happy. 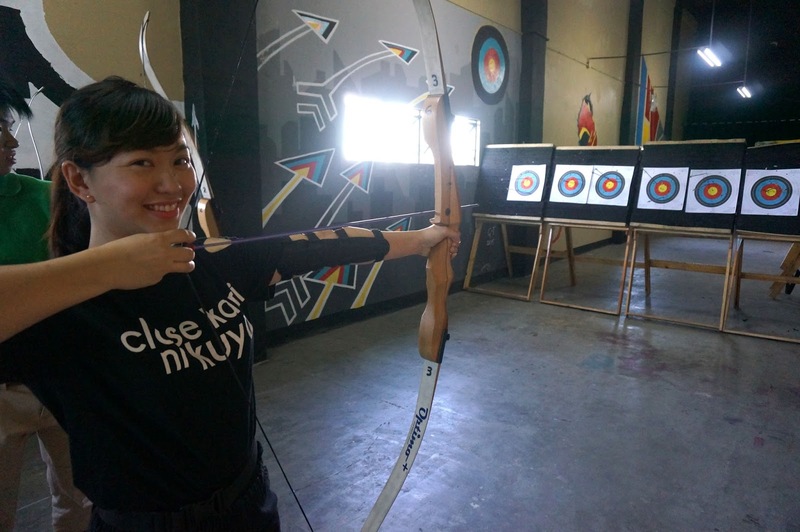 Archery is not as easy as it looks. 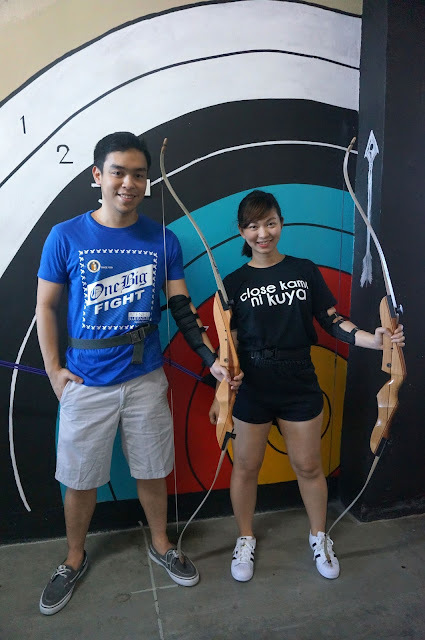 Yes, it was fun but believe me we were already sweating even during the middle of the course. 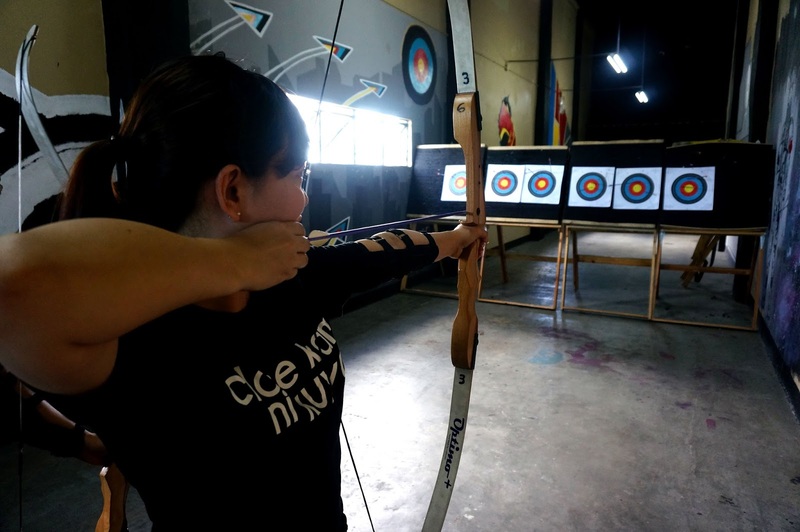 Aside for an enjoyable experience, archery has many benefits - improves the upper body strength & develops focus and attention skills among many others. So I highly suggest you to try it yourself. It's good for date activities and barkada bonding.